I love Pixar. Their movies always pull at the heart strings and those are my favorite kind of movies. I think I’ve cried watching almost every single one of the Pixar Films. I grew up with Toy Story and the adventures of those toys and how much they loved Andy. It got me every time. 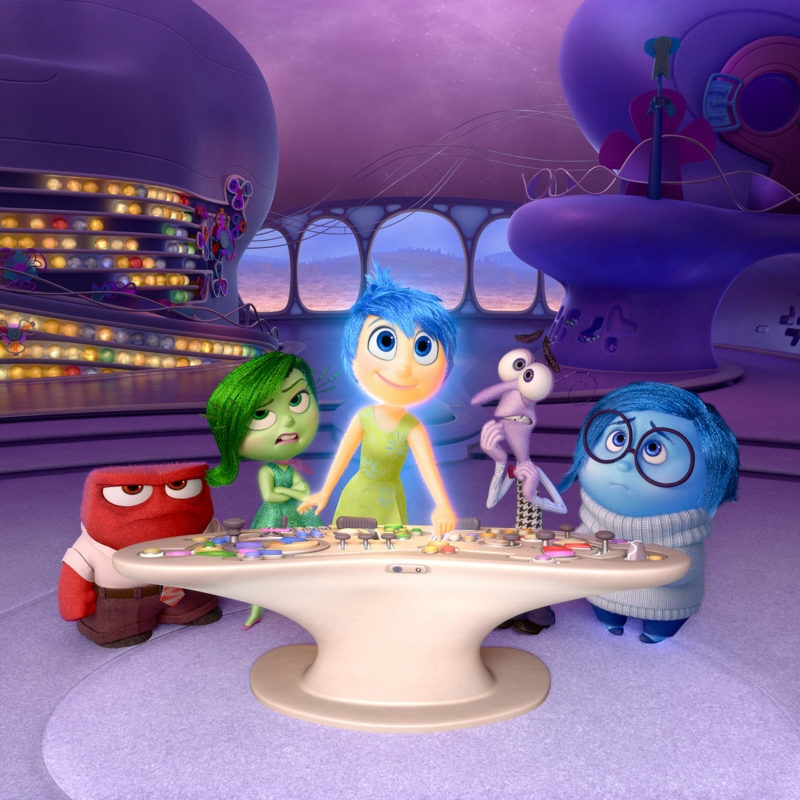 Inside Out rings true as another beloved Pixar film and another one for the record books. My 7 year-old daughter and I saw the film the Tuesday ahead of its official opening as part of the Inside Out #AllAccess event they held at select theaters. I loved it. 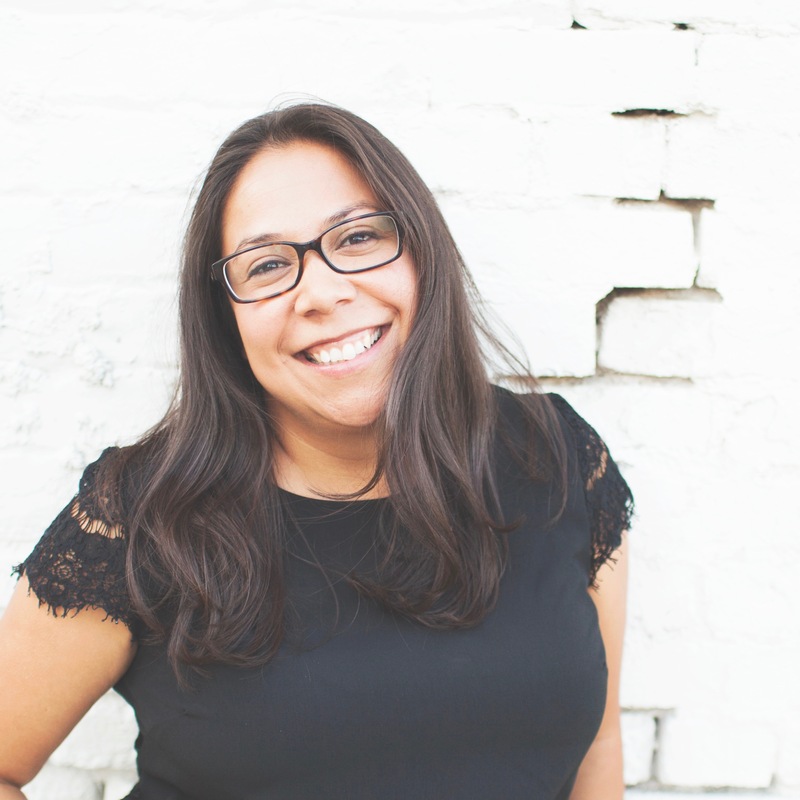 Today I’m sharing how this movie can help teach all of us about the importance of emotional connection, with ourselves and with the people we care about most. 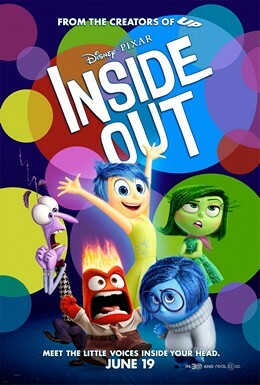 Inside Out is an emotional romp (literally and figuratively) through the mind of 11 year-old Riley, who moves with her family from Minnesota to San Francisco. Inside Riley’s head you learn that she has five main emotions: Joy, Sadness, Anger, Fear, and Disgust. Each emotion taking a turn as needed to help Riley feel her way through life, often relating her new experiences to past memories. Joy tries to keep Sadness away from Riley’s emotional control and from her memories because she doesn’t want Riley to feel sad about this big change and wants her to focus on the positive aspects of the move. Then things really get going when Joy and Sadness have an accident and get sucked away from the control center and into the memory section of Riley’s brain. Once these two hugely important emotions are out of the control center, Riley really starts to lose control of herself. Without Joy or Sadness Riley becomes super moody and disconnected from her self and her family. From their vantage point, Joy and Sadness see the effects that Riley’s out of control behavior starts having on her sense of self. They embark on their own interesting journey trying to get back to “headquarters.” During the journey they reflect back on Riley’s life by revisiting some of her memories. Joy always remembering the good and Sadness remembering the struggle underlying each of those happy memories. During the journey through Riley’s memory and imagination, the most stirring character of the movie end ups being Riley’s old imaginary friend, Bing Bong, who has been in hiding trying to hold on to the past and not get thrown into Riley’s memory dump. It’s Bing Bong’s own emotional journey about being forgotten that allows Joy to see how necessary Sadness is in providing comfort and peace. Joy and Sadness do finally make it back to “headquarters” and Joy finally let’s go of control and allows sadness to take the reins for a while. Allowing Riley to be vulnerable and outwardly express her true feelings about the move to her parents. Her parents respond empathically and provide Riley the emotional acknowledgement, connection and comfort she sorely needed. In the end there is the realization that no emotion is an island, just as you as a human being are not an island. All of her emotions must work together to help Riley truly feel her way through life. You need all of your emotions, your intrinsic sense of self and your emotional connection to your support systems to help you to get through tough times in a mentally healthy way. For younger kids this movie provides a good starting point to identify and name their own emotions. You can help them by naming the emotion from the film and relating it to what they saw Riley doing when that emotion was in control. Most kids will remember Anger, and when he was getting fired up, Riley reflected that anger by making a face or shouting. For older kids it provides a good opportunity to relate to the fact that we all have emotions and that being emotional is being human. Experiencing and really feeling pain and sadness is a part of life, just as much as feeling joy. Our entire spectrum of emotions leads to real human connection but you must be open and honest with those closest to you so that your support system knows what’s going on and can provide the support you need. As adults, and especially when we practice mindfulness, we have more awareness of the underlying feelings and sensations that lead to our outward behaviors. Our mind and body truly work from the Inside Out. Slowing down, stopping to pause, and allowing yourself to be in the moment gives you the time you need to become aware of the self before you lose control. Children (and adults) must be taught this practice. It is not usually something you know intrinsically. You learn it from seeing the behavior of those around you and how they deal with their own emotions. This movie goes a long way to helping kids understand that you can feel strong feelings and then let them go. You are not those feelings forever. Your emotions are temporary and will not overwhelm you as long as you process them in a healthy way. We talk about emotions pretty openly in our home and really encourage the use of “I feel” as much as possible rather than “I am.” My two year old is already pretty good at naming her and others emotions when she is upset or when she’s someone else upset. If you don’t regularly have these types of conversations consider using this movie as a starting point. Similar to Up, this is a great movie to start an open and honest discussion about emotions and feelings with anyone but especially with your partner and/or kids. It’s a great opportunity to build a stronger emotional connection within your family. Talk with them about your own feelings on Inside Out. Share the emotions you most related with. What emotions do you think you could be better about showing? Use this as an opportunity to push your own vulnerability and, depending on the age of the kids, to share your own emotional struggles. Be open and honest so your kids can see and return the same openness and honesty when talking about their feelings. I am grateful for your visit. Thank you for spending a moment with me. Have you seen Inside Out? What did you think? Did you learn anything about your own emotions during the film? Let me know in the comments. I so love the compassionate and gentle voice with which you approach this subjects and the topics in your other posts! You help me to look with more awareness and openness into the world around me. Thank you! Thank you so much Anka. Your kind words mean a lot. Compassion for myself, for my family, for others and for the world around me has given new meaning to my life. I am so grateful that I was able to inspire you in some way today. Thank you for visiting. I loved this movie and wished that it were around when I was a tween trying to figure things out. I am going to share this with my sisters who were up in the air with whether or not to take their kids. Me too! Though I don’t think I was ready for the message at that time. My awakening came much later. =) Thanks so much for reading and sharing! Happy 4th!